There are many types of Grow Lights to choose from when selecting lighting for your indoor green house. 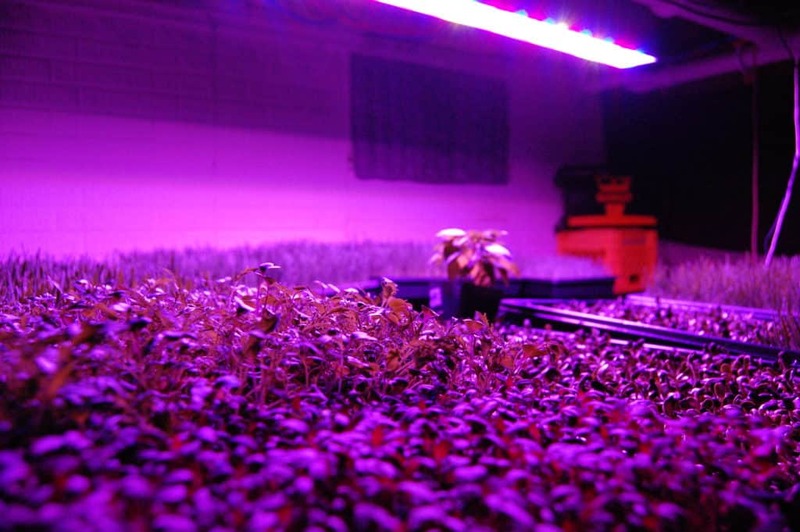 You may also be wondering how to use grow lights? Don't worry, we'll help. The least expensive grow lights are incandescent lights. They work well for specific plants when the light is placed a minimum of 24" from the plant. Incandescent lights get very hot, so they must be used carefully. Incandescent lights install easily and are good to use with one plant or a small grouping of plants. Most spot incandescent bulbs last less than 1,000 hours. Florescent grow lights are a common choice. They are fairly energy efficient and easy to install and maintain. Florescent bulbs last about 20,000 hours. Florescent light is typically on the blue end of the spectrum, which encourages bushy compact growth. This makes them perfect for seed starting. The blue light produced is cool to the touch so it is possible to place lights within just a few inches of the seedlings. Full-spectrum florescent lights provide red spectrum light and encourage flowering/blooming. Combining these lights in a fixture makes for even, all around growth. T-5 lights have extremely high output and are energy efficient and long lasting. T-5 lights produce three times the output of normal florescent lights without increasing the wattage. Plants absorb a high percentage of T-5 lighting because the fixtures function well very close to plants. High output bulbs require a high output fixture to operate, so the bulbs and normal florescent fixtures will not work together. Some commercial growers use High Intensity Discharge lights (HID) because they have extremely high output and cover a wide area. HID lights hang high above plants (hanging height determined by the wattage) so the light works well for large growing areas. A ballast is required to operate HID lights in order to deliver power to the lamp and fixture for the lights. Most fixtures have a reflective hood which directs light back towards plants. HID lights run very hot, so they must be placed away from plants to avoid burning the leaves. Metal Halide and High Pressure Sodium (HPS) are the 2 types of HID lights. Metal Halide lights produce blue light that most closely resembles natural light. This would be the preferable light if used as the primary lighting because plant growth most closely resembles plants grown outdoors. This type of lighting is excellent for areas that do not get natural sun. The second type of HID lighting, High Pressure Sodium (HPS), is excellent for supplemental lighting in a greenhouse because the red light promotes flowering. The bulbs last much longer than Metal Halides. Metal Halide and High Pressure Sodium lights generally do not use the same fixtures, although, some fixtures are convertible. With convertible fixtures, bulbs swap easily. A simple flip of a switch converts the fixture after changing the bulb. This is a good option for serious growers who want the benefits of compact growth, blooms and energy efficiency. 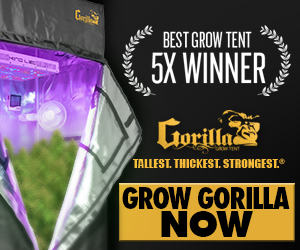 The newest type of grow lights use LED technology. The major advantages to LED grow lights are the small size and low heat output. LED grow lights are only a few inches in diameter and are easy to mount. LED grow lights may be the only practical option for some growers. Hanging most grow lights requires a strong greenhouse structure and a place to hang the lights, but since LED grow lights are very light, it’s easy to place them anywhere they’re needed. According to LED manufacturers, LED grow lights maximize blue and red light to provide an excellent balance for plants. Read our in-depth LED grow light reviews to learn more about how these types of lights can benefit you and your indoor growing.